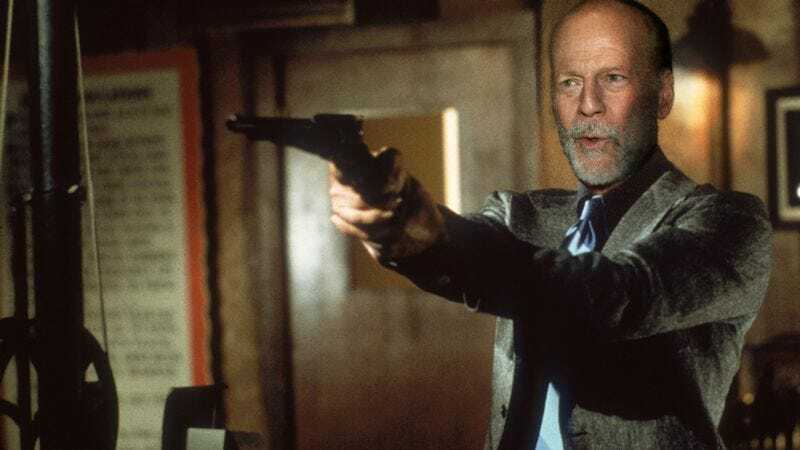 With that Looper-esque Die Hard prequel/sequel, in which he’s rumored to play a lived-in version of John McClane, set to revive (or destroy) that franchise, Bruce Willis has decided to help finally get that Death Wish remake off the ground as well. Deadline reports that the erstwhile Broadway performer will assume the lead role of the formidable vigilante that Charles Bronson originated in 1974, and later reprised in four sequels. Much as two hands are needed to steady a .475 Magnum, so too will this contemporary retelling require two directors to wield all of the revenge fantasy: Aharon Keshales and Navot Papushado, who previously teamed up for the anti-revenge revenge film Big Bad Wolves, will co-direct the remake, which is set to begin production this summer after years of stops and starts. Gerardo Naranjo (Miss Bala) replaced The Grey’s Joe Carnahan as director in 2013, but there were no other developments in the interim—until now, that is. If you’re somehow unfamiliar with the Death Wish franchise, it centered on Paul Kersey, an architect whose transformation into a roving executioner shouldn’t be all that surprising given that, as an architect, he probably had the blueprints for revenge. (Sorry). But become an unflinching vigilante he did, after his wife was killed and his daughter assaulted. In the original film, Paul was inspired in part by a reenactment of an Wild West-style shootout, so we assume the new iteration of the character will prep by watching Bruce Willis movies.